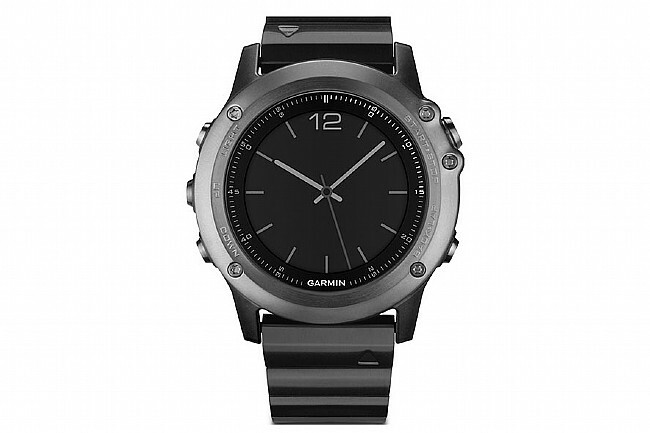 Designed to get you fit and keep you stylish, the Fenix 3 Sapphire blurs the lines between a multisport watch, an outdoor watch, and a luxury timepiece. Fenix 3's rugged construction can go anywhere, from the highest altitudes to deep underwater. A sapphire lens makes the face of this premium Sapphire model more scratch resistant than the standard Fenix 3, and a stainless steel band adds style and class. The watch records detailed information with GPS + GLONASS, Altimeter, Barometer and Compass. And advanced fitness metrics like Race Predictor, recovery advisor, recovery timer, and V02 max estimator help make sense of all the data. Full outdoor navigation features make sure you always know where you are and where you're going. The watch is Bluetooth-enabled for pairing with iPhone® 4s (or later) or Android™ smartphones to display emails and text messages. Quickly sync data to Garmin Connect Mobile to upload your fitness data on the go and send to apps like Strava. 1.2-inch Sunlight-visible, high-resolution color Chroma display with LED backlight lets you access your data in any light. Smart Notifications receive emails, texts and alerts right on watch, even if you're on the trail. 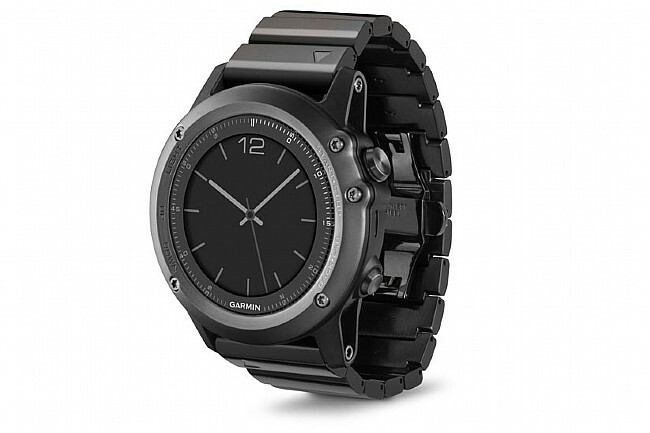 Includes: Additional black rubber watch band with removal tools, USB charging / data cable, and AC adapter.